Recently we saw how Qualcomm had high hopes for the Snapdragon 850 processor , a SoC typology that was above all an evolution of the Snapdragon 845 designed for smartphones that could be used for convertible or portable computers with Windows 10. However, it seems that the ambition for teams called always connected or always connected, goes further. 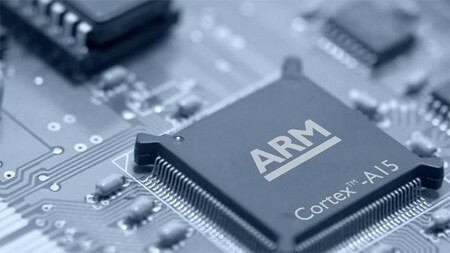 The reason is that there are now references to a new processor signed by Qualcomm and called Snapdragon 1000 that would come to be integrated into computers with high-end Windows 10 ARM . The teams that have debuted with this architecture and Windows 10 operating system are those signed by Lenovo and Asus , two models that however we saw how they could stay outdated almost before reaching the market . They use a Snapdragon 835 processor when the Snapdragon 845 is already a reality . It is about equipment, we already know, that boast a permanent 4G LTE connection and a performance in terms of autonomy that places them among the most interesting in the market. All this in theory, if we stick to the information provided by the manufacturers. The problem or the blessing, depending on how you look at it, is that when we are still waiting for teams that integrate a Qualcomm Snapdragon 845 and while those that offer the Qualcomm Snapdragon 835 have not reached many markets, we are talking about a third generation of equipment or a second , if they are limited to high-end models. The use of a so-called Qualcomm Snapdragon 1000 processor for Windows 10 ARM would primarily have the objective of competing with Intel processors . That could be the idea, although we have little information about it to be able to give it a foundation. There is talk, it is rumored, that this series would have a thermal design power (TDP) of up to 12 watts, almost twice the Snapdragon 850 that remains at 6.5 watts and very close to the Intel Core U series processors offer a TDP of 15 watts. There would be several manufacturers who would already be working on computers with Qualcomm Snapdragon 1000 processors that would see the light at the end of 2018 or at the beginning of 2019 . In fact Asus is one of the manufacturers that could be developing a team under this architecture that would be known by the code name of Asus Primus. If this is the case at the end, it is more than confirmed that it would not be a good idea to get one of the notebooks of the first generation of Windows ARM equipment. It would be convenient to wait for the Snapdragon 845 processors or even that so-called Snapdragon 1000 before paying a significant amount of money for a team that may be lame much earlier than expected.